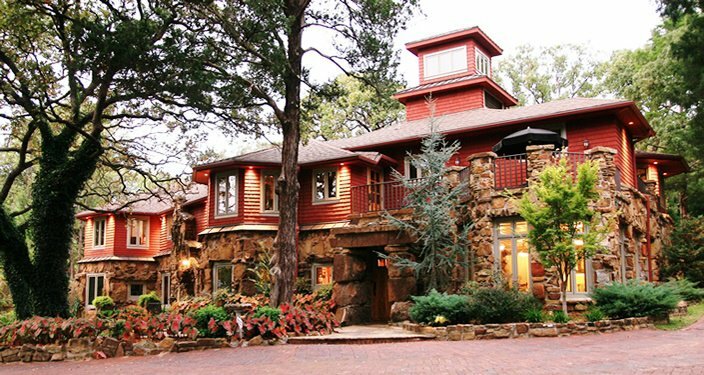 The area's most beautiful and unique inn is nestled among 65 acres in the foothills just west of Tulsa. Once the home of Creek Nation allottee Tecumseh Perryman, this lovingly renovated and restored luxury inn rests in the exclusive and peaceful setting of Redberry Farm. Owner Sandi Dittmann spent seven years renovating this lovely 1890s home into what is now a one-of-a-kind, upscale bed and breakfast. A wilderness area and walking trail surround the inn. Cedar Rock Inn in Tulsa provides all guests with a memorable experience, as well as unsurpassed amenities and services. 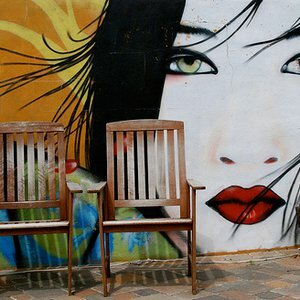 Starts at $149 + tax (5.35%) for double occupancy, including a 3-course breakfast in the morning. While every effort has been made to ensure the accuracy of the pricing listed above, prices are subject to change without notice. From Tulsa: Travel west on I-44 across the river to the 51st Street exit. Travel through the light at 51st Street and continue to 41st St. Turn east (right) on 41st and the property is located one half mile on the north (left) side of the street. From Oklahoma City: Travel east on I-44. Take the I-244 exit and immediately take the 51st Street exit. Travel through the light at 51st Street and continue to 41st St. Turn east (right) on 41st and the property is located one half mile on the north (left) side of the street. 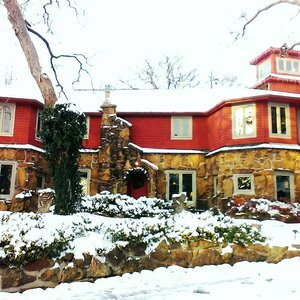 Discover some of the most romantic bed and breakfast inns in Oklahoma and select the perfect place for you and your sweetheart to escape, reconnect and spark romance. Gather up the girls and hit the road to Tulsa for a great weekend getaway.